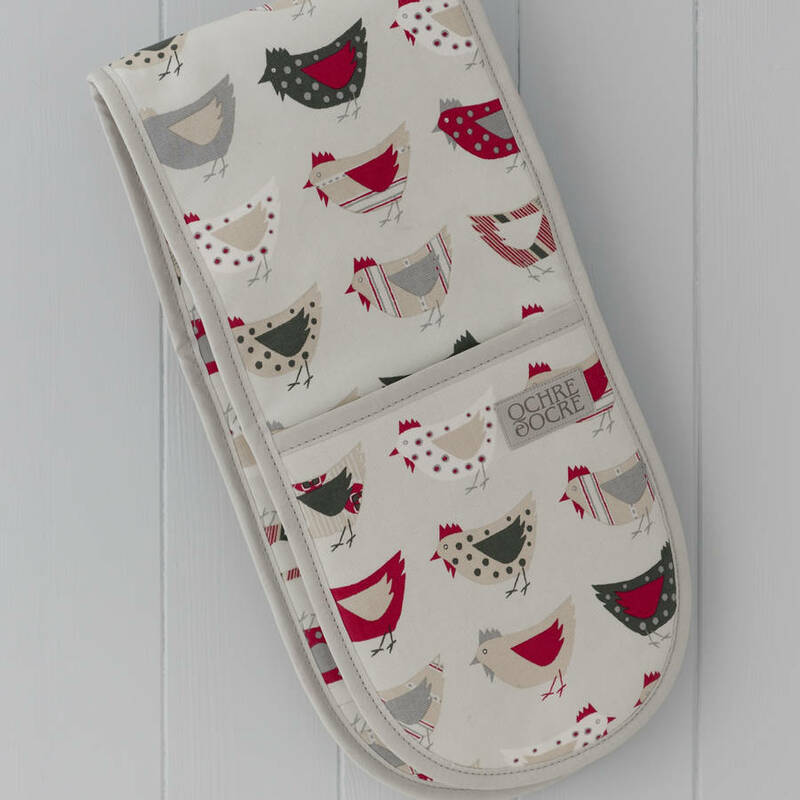 A stylish and practical pair of organic double oven gloves in a cute chicken design. 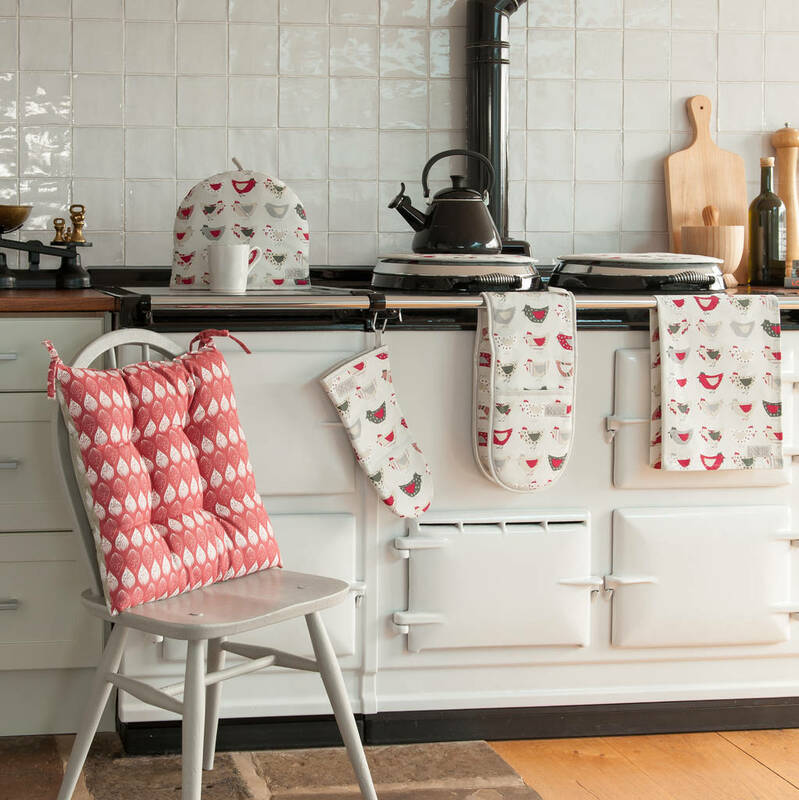 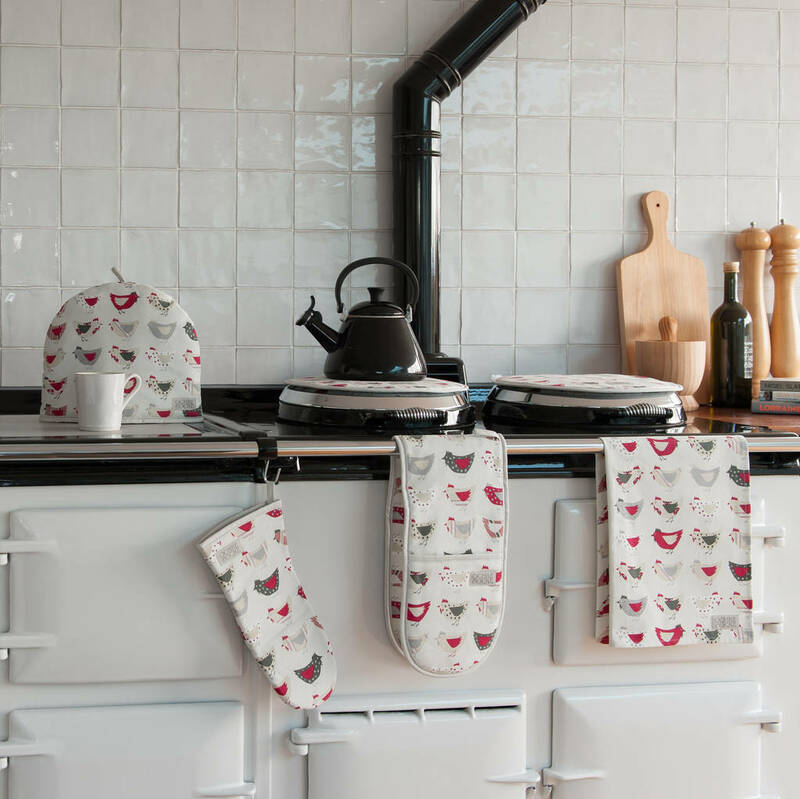 Our Roost double ovengloves will add a touch of Country style to your kitchen. 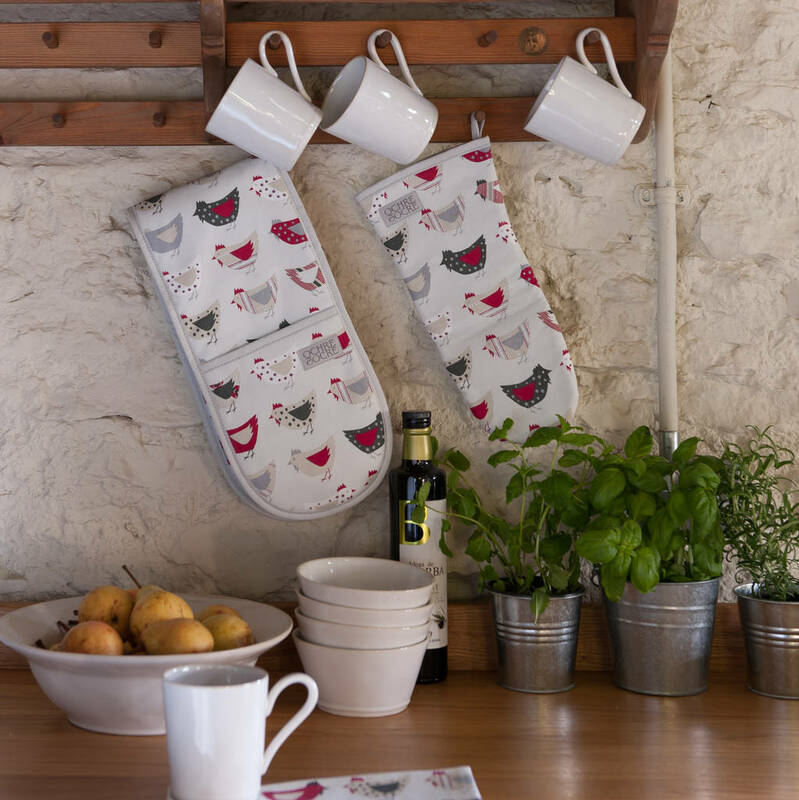 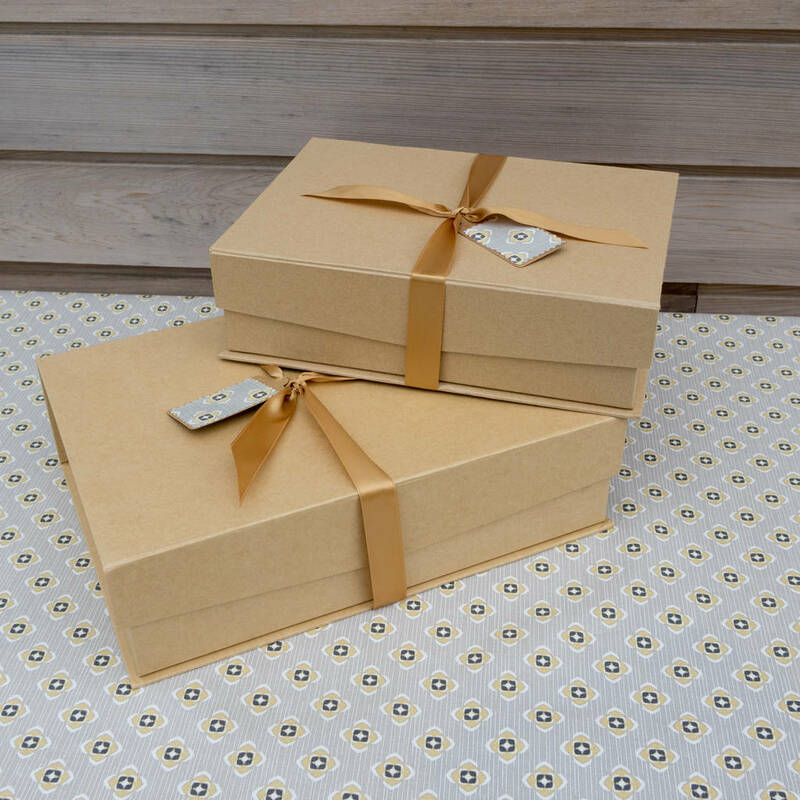 These organic ovengloves would make a fab and practical housewarming gift for someone who is busy nesting in their new home! 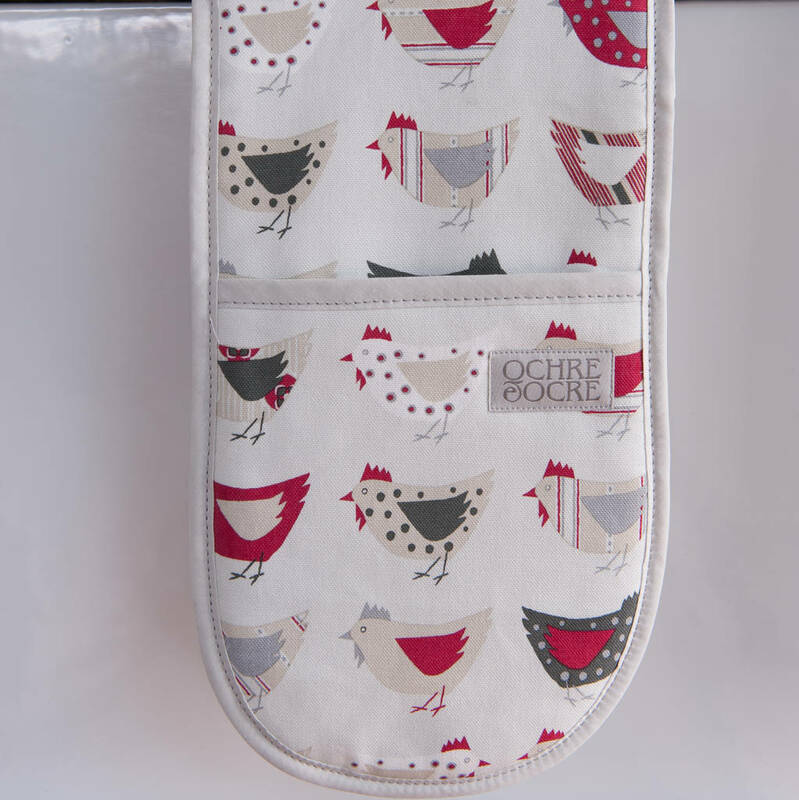 Matching organic tea towels and aprons are also available in this fun chicken design.